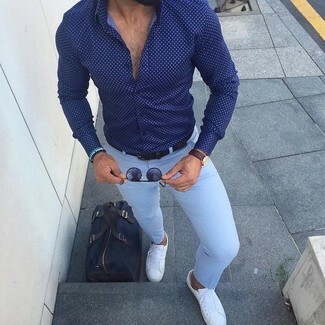 Consider pairing a navy and white polka dot dress shirt with light blue dress pants to ooze class and sophistication. Go for a pair of Blackstone pm41 low top sneaker from Nordstrom to make the getup current. 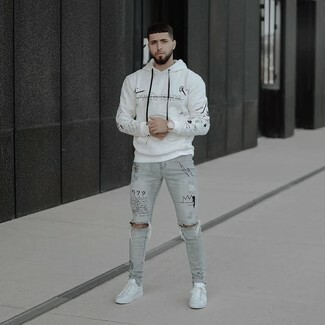 If you're all about functionality dressing when it comes to your personal style, you'll love this stylish pairing of a white print hoodie and grey ripped skinny jeans. You could perhaps get a little creative when it comes to footwear and dress up your outfit with Blackstone pm41 low top sneaker from Nordstrom. Contrary to what you might believe, getuping stylish doesn't take that much time. 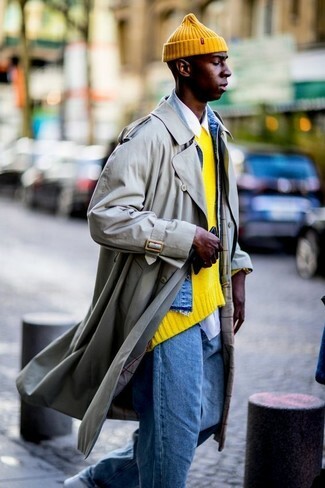 Just try pairing a beige trenchcoat with blue jeans and you'll look awesome. For something more on the daring side to complete this getup, go for a pair of Blackstone pm41 low top sneaker from Nordstrom. 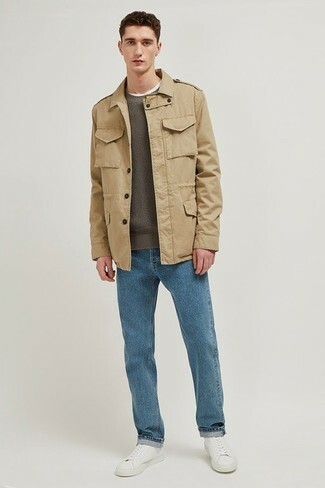 This combination of a khaki field jacket and blue jeans resonates casual cool and effortless menswear style. Throw white leather low top sneakers into the mix for extra style points. 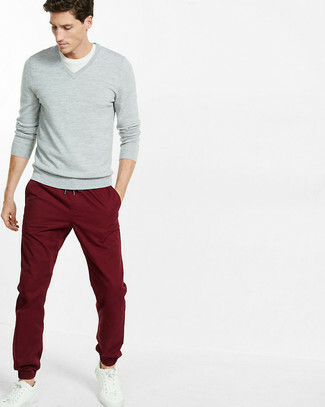 For a nothing less than incredibly stylish look, go for a red crew-neck sweater and grey dress pants. Want to go easy on the shoe front? Opt for a pair of Blackstone pm41 low top sneaker for the day. If you're looking for a casual yet stylish getup, team a light blue vertical striped long sleeve shirt with grey chinos. Both garments are totally comfortable and will look great together. When it comes to footwear, this look is round off wonderfully with Blackstone pm41 low top sneaker from Nordstrom. If you're in search of a casual yet seriously stylish outfit, opt for a grey v-neck sweater and burgundy chinos. Both garments are totally comfortable and will look great paired together. 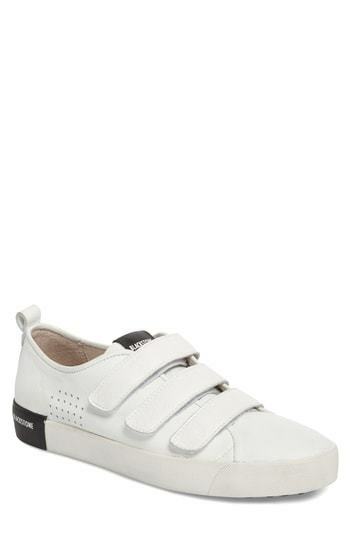 Add a sportier vibe to your outfit with white leather low top sneakers. 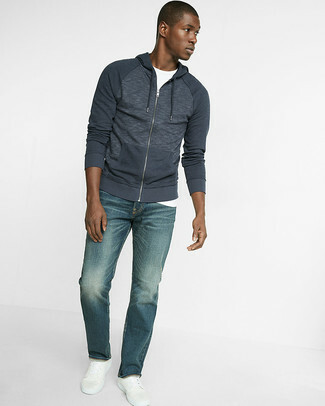 If you're looking for a casual yet dapper ensemble, wear a navy hoodie and blue jeans. Both items are totally comfortable and will look great paired together. White leather low top sneakers are a great choice to round off the look. If you're on the lookout for a casual yet seriously stylish ensemble, choose a navy print short sleeve shirt and charcoal jeans. Both garments are totally comfortable and will look great paired together. When it comes to shoes, this look is complemented wonderfully with white leather low top sneakers.